Nissan said that the report was not based on any announcement by the company. U.S. production of Nissan vehicles, including the popular Rogue crossover and its high-volume Altima sedan fell 9.2 percent in the year ended March, company figures show, following a period of increased sales in 2016. Nissan has two factories in the United States, one in Tennessee, and one in Mississippi. 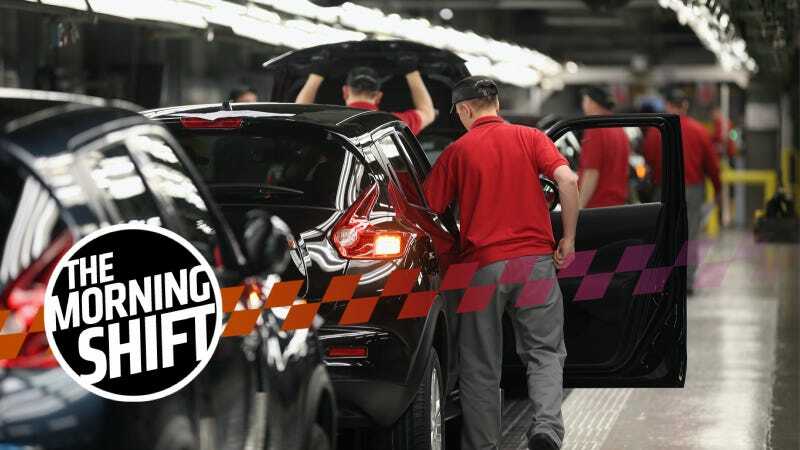 Its plant in Smyrna, TN, makes the Nissans Leaf, Maxima, Altima, Rogue, Pathfinder, and Infiniti QX60, while its plant in Canton, MS, makes the Nissans Altima, Murano, Frontier, Titan, and NV. I can’t remember the last time I really thought about the Nissan Frontier, and I’m not sure why that is. Anyone drive a Nissan Frontier lately? “Japanese automakers have created jobs and made huge contributions to the U.S. economy,” Abe told the Diet, when asked by a lawmaker how Japan would respond to the U.S. move. “As a country that prioritizes a rule-based, multilateral trade system, Japan believes that any steps taken on trade must be in line with World Trade Organization rules,” he said. This is all a silly and pointless game, and it is no longer the Year of our Lord 1983. Canada’s Foreign Minister Chrystia Freeland will go to Washington on Tuesday to meet with the U.S. trade chief, officials said on Monday, as officials press for a deal on reworking the North American Free Trade Agreement (NAFTA). Chrysler, Ford, GM, Toyota, and Honda all have plants in Canada. The Environmental Protection Agency’s Science Advisory Board is a bit self-explanatory. It consists of scientists who are there to make sure that what the EPA is doing actually, you know, protects the environment. Using science. But this time, the SAB working group has singled out five major actions planned under President Donald Trump it wants the board to examine, and the panel adopted unusually pointed language to highlight problems with the EPA’s handling of the issues. Consider the working group’s analysis of the EPA’s April 2 conclusion that emission requirements for cars and light trucks are too stringent. That Trump administration determination — a 180-degree reversal from the agency’s conclusion under former President Barack Obama just 15 months earlier — triggered a formal process of dialing back the requirements. Where the Obama-era determination was backed by more than a thousand pages of technical assessments and other studies, the SAB working group said the Trump administration’s pivot was based on much thinner evidence. Scott Pruitt, an astoundingly corrupt rube, will likely win over the scientists because that is our political system. A move by the Ningbo-based head- and arm-rest manufacturer could revive concerns among Germany’s leadership about Chinese investors’ purchases of assets in Europe’s biggest economy that were sparked by the 2016 purchase of robot maker Kuka by Midea Group. In February, Li Shufu, the chairman and main owner of China Zhejiang Geely Holding Group, revealed he had amassed a stake of 9.69 percent in Daimler, making him the single largest shareholder in the company. May their marriage be blessed, and I wish them hundreds of fat children. We all love the Chevy Colorado and Ford Ranger and Toyota Tacoma and whatnot. Smaller pickups are great. What about the Nissan Frontier? Correction: This post originally said that Nissan had two factories in Tennessee. It has one assembly plant in Tennessee (Smyrna), along with an engine plant in Decherd. The Canton facility is in Mississippi. We regret the error.